Disagreements are resolved. Relationships are healed. New careers are chosen. Creativity is accelerated. Talents are discovered. New trajectories are forged. Fear is dissolved. All through a willingness to connect. You see, there is a loving presence, a spiritual magnificence, a creative genius at the center of everyone, at the center of you. Call it what you will. I call it your soul. Your soul is guiding you. Are you listening? Are you following? Are you resisting? 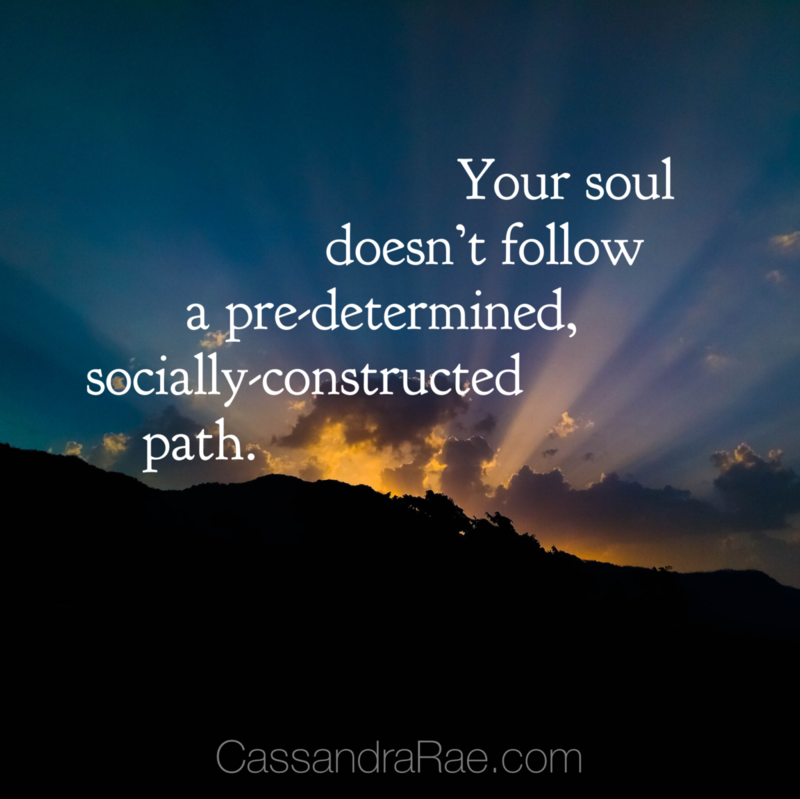 The real catch here is that your soul doesn’t follow any sort of pre-determined, socially-accepted path. Have you ever noticed how the people who experience deep levels of joy, fulfillment, purpose, and peace have unique stories, surprising adventures, and even painful challenges and triumphs? How to connect with your soul, your clarity, your truth, your calling and also how to connect with one another in order to create healthy community. I believe that connection changes everything. It has the power to change our society, our laws, our government, our churches, our schools, our culture. If not, no worries and no pressure. Either way, I am grateful for you and know that you are being clearly guided. Your soul knows and you have the wisdom and power to choose the highest and best for you.